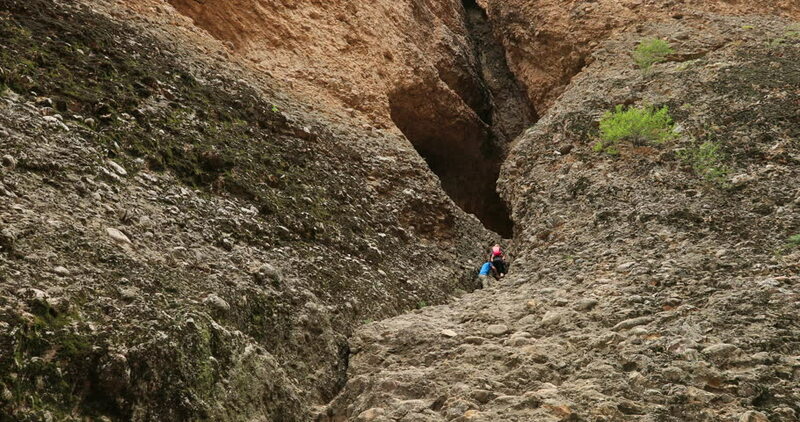 Father climbing steep mountain cliff to cave. Utah Rock climbing world famous destination, Maple Canyon. Cliffs, overhangs and challenging climbs adventure, recreation, sport and strength endurance.